A museum might wow you with all of its fossil specimens on display, but that’s often just a small part of what’s really there – specimens in the back might lay in drawers or plaster-wrapped in boxes, quietly holding yet-to-be-revealed secrets or further mysteries about the past. Such is the case with an incredible bird fossil, found 25 years ago in Utah but only just described. The fossil is pretty nuts – a turkey-sized extinct bird called an enantiornithine, apparently highly capable of flight, and perhaps one of the most complete of its kind ever found in North America. It furthers the mystery of why some dinosaurs went extinct but others (the birds we see today) stuck around. “The skeleton tells an interesting evolutionary story. Right before they went extinct, enantiornithine birds had separately independently evolved adaptations for advanced flight just like modern birds,” author Jessie Atterholt, assistant professor at Western University of Health Sciences, told Gizmodo. This fossil has a story a quarter of a century old. Palaeontologist Howard Hutchison found it on a trip to Grand Staircase-Escalante National Monument in Utah, in 75-million-year-old rocks. Plenty of paleontologists knew about the “important” specimen, Atterholt explained – but never completed their analysis on it. Atterholt was specifically interested in how these enantiornithines evolved and asked if she could work on it. “Now we’re finally making it happen,” she said. She, Hutchison, and researcher Jingmai O’Connor published the results today in PeerJ. The fossil skeleton, now a new species named Mirarce eatoni, includes several vertebrae, the base of the spine that would support the tail feathers, nearly all of the bones of the left foot and some from the right, a humerus, a femur, the lowest leg bone found in birds called the tarsometatarsus, a wishbone, and other pieces. It was birdy looking, and probably the size of a turkey. 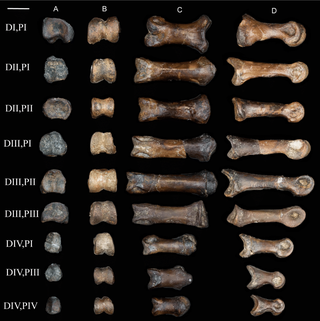 Perhaps most excitingly, the ulna, or forewing bone, featured little rough notches interpreted as “quill knobs.” These are features present in today’s birds that reinforce the feathers and are indicative of advanced flight, said Atterholt. 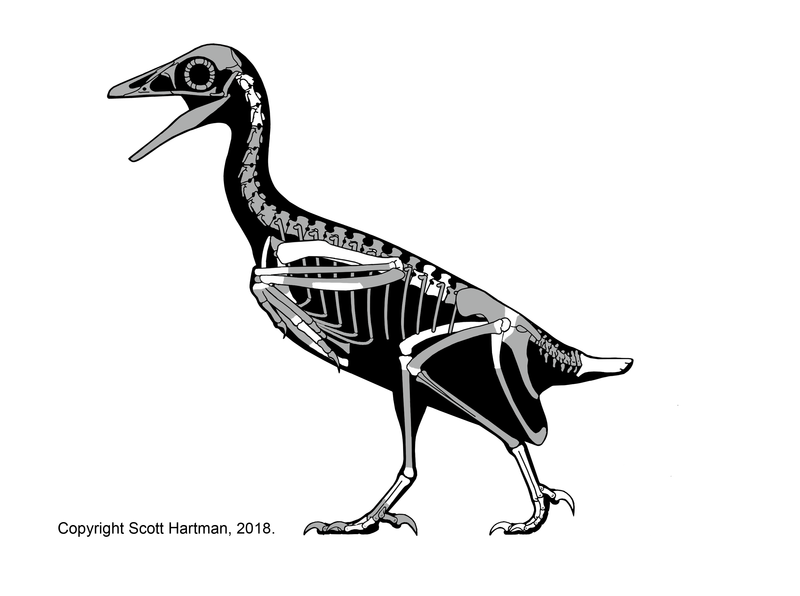 “No doubt this is one of the most important bird fossils from the Age of Dinosaurs,” Steve Brusatte, a University of Edinburgh palaeontologist not involved with the study, told Gizmodo. 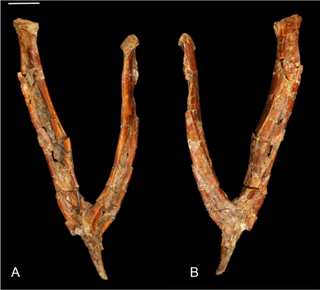 Atterholt is continuing to research these bones to study what the bird was like and how it evolved. She also mentioned the recent controversy over the site from which the fossil originated, Grand Staircase-Escalante. Recently, President Trump reduced the size of this national monument. She pointed out that decisions like these could put an end to discoveries like this one.